Of all the departments and fields of study that North Carolina State University offers, the ECE Department has one of the longest histories. 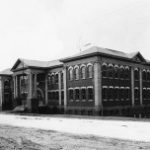 Dating back to 1893, the first Electrical Engineering course was offered, and became the first NCSU course ever labeled “engineering.” In 1900, the first Electrical Engineering degrees were awarded, and the first Electrical Engineering laboratory was established. As the years progressed, so did the curriculum and prestige of the department. 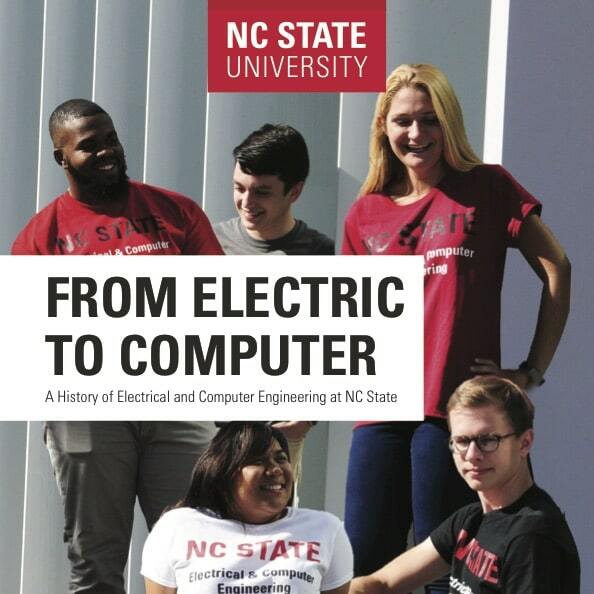 Through building moves, name changes, and program expansion, the Electrical and Computer Engineering Department has become a prominent staple in the engineering community. 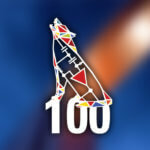 In celebration of our 100th Anniversary, the Department of Electrical and Computer Engineering has compiled some of the major accomplishments, turning points, and significant happenings throughout our history. NC State became the first university in North America to establish an IBM Q Hub as part of the global IBM Q Network to advance quantum computing. 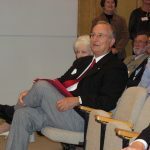 Dr. Daniel Stancil was named as Executive Director of the Hub in 2019. 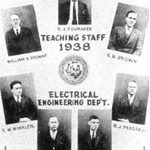 The year marked the celebration of the 100th anniversary of the Department of Electrical Engineering, separated from Physics in 1917. With growing promotional efforts, a brand-new website, and new facilities like the MakerSpaces, the department put action to the celebration by setting the stage for the next hundred years. Thanks to generous endowments from Dr. Robert Kolbas and Robbie Troxler, the department unveiled two makerspaces providing new fabrication and electronic testing capabilities to our students. 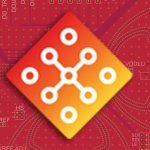 Formed with University of Illinois: UC and Georgia Tech, The Center for Advanced Electronics Through Machine Learning, funded by the NSF and industry, aims to speed up design of microelectronic circuits and systems. 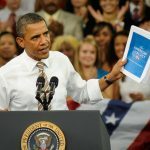 President Barack Obama and the U.S. Department of Energy (DOE) tap NC State to lead a $140 million advanced manufacturing institute to unite academic, government and industry partners in an effort to revolutionize energy efficiency across a wide range of applications, including electronic devices, power grids and electric vehicles. Department creates Minor in Nano-Science and Technology. 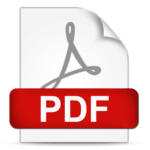 Department creates first Online Open Course (OOC). Department creates Masters in EPSE degree program. 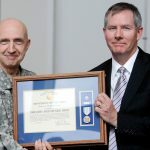 President Obama presents Dr. Jay Baliga with the National Medal of Technology. Department creates REES undergraduate concentration and graduate certificate. 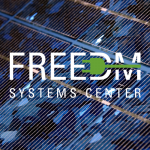 FREEDM moves into the newly created Keystone Science Center building on Centennial Campus. Engineering Graduate Research Center (EGRC) on Centennial Campus has been renamed the Larry K. Monteith Engineering Research Center (MRC), after the former Chancellor, former Dean of Engineering, and former ECE Head Dr. Larry K. Monteith. Engineering Building II completed; ECE moves out of Daniels Hall. Ground is broken on Engineering Building II. Located in Daniels Hall, the William F. Troxler Design Center opens in December, providing state-of-the-art laboratory space for students working on senior design projects. 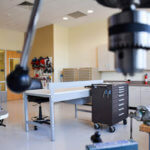 This marks the first time in the College of Engineering that an entire laboratory or facility is funded by an individual. 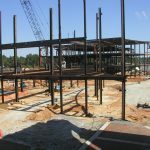 Engineering Graduate Research Center building construction completed, and opens the next year along with Partners I. 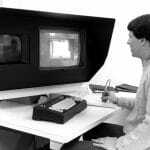 The Center for Advanced Computing and Communications (CACC) reformed from the former Center for Communications and Signal Processing, established in 1982. 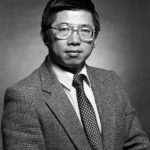 The Center for Robotics and Intelligent Machines was established, led by Dr. Ren Luo. In accordance with a push by ABET, a senior-level design course is implemented as part of the Bachelor’s degree requirements. 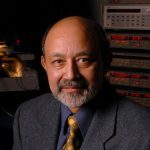 The Power Semiconductor Research Center was established, led by Dr. B. Jayant Baliga. In desperate need of space, the Advanced Electronic Materials Processing (AEMP) Center obtains space in a newly constructed research facility on Centennial Campus, however, the department estimates a short-term need for space on the order of 10,000 sq. ft. and substantially more in the long-term. The founding of the NSF Center for Advanced Electronic Material Processing (AEMP), led by Dr. Nino Masnari, marked NC State as one of the first recipients of a National Science Foundation Engineering Research Center (ERC) program grant. 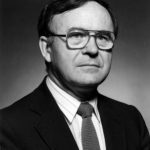 The Electric Power Systems Research Center was established in July, with Dr. John Grainger as its director. With the growth and influence of the modern computer growing, the Department of Electrical Engineering is renamed the Department of Electrical and Computer Engineering in the Spring of 1983. The Microelectronics Center for North Carolina was established at NC State. 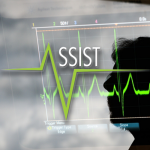 The NSF Center for Communications and Signal Processing is established, led by Dr. J. Benjamin O’Neal. Sarah A. Rajala joined the Electrical Engineering faculty and became the first female Ph.D. faculty member to join the College of Engineering. With the growing importance of computer systems, an option in Computer Engineering is approved by the department’s faculty in 1976, with that program being implemented in 1978. The Graduate Executive Council recommends the approval of a Master of Electrical Engineering degree to Chancellor Caldwell on November 7, 1962, with the Board of Higher Education in North Carolina approving it on March 1, 1963. 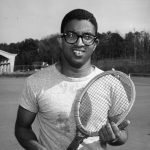 Irwin Holmes was the first African American to receive an undergraduate degree from NC State, when he received a bachelor’s degree in electrical engineering. Robert L. Clemons became the first African American to receive a degree from NC State, when he received a professional degree in electrical engineering. The first African-American undergraduate students entered NC State; all were engineering students. Walter Holmes enrolled in mechanical engineering with an aerospace option, and Irwin Holmes, Manuel Crockett, and Edward Carson enrolled in electrical engineering. The first African-American graduate students enrolled at North Carolina State. 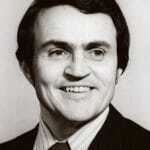 Hardy Liston (mechanical engineering) and Robert L. Clemons (electrical engineering). Authorization is granted to bestow the degree of Doctor of Philosophy in Electrical Engineering, with the first degree given in 1953. Engineering instruction is consolidated from UNC Chapel Hill to NC State College, including the UNC Department of Electrical Engineering, providing a boon of faculty and equipment. The Electrical Engineering curricula is accredited by the Engineers’ Council for Professional Development, now ABET. The School of Engineering was formed, consisting of the Electrical Engineering Department, Civil Engineering Department, Physics Department, Textile Engineering, and Mechanical Engineering. Lucille Thomson became the first woman ever to enroll at NC State. She enrolled in electrical engineering. 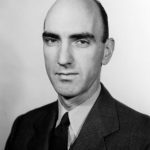 Due to the growth of the two programs and diverging needs, Physics is separated from Electrical Engineering, marking the beginning of the Department of Electrical Engineering, headed by Professor William Hand Browne, Jr., who would lead the department until 1944. 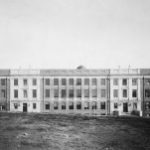 Winston Hall was the first building primarily devoted to engineering activities; namely, electrical engineering, civil engineering, and the chemical department of the State Experiment Station. 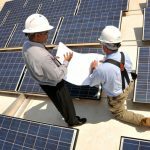 Authorization is granted to bestow the degree of Master of Science in Electrical Engineering at North Carolina College of Agriculture and Mechanic Arts. 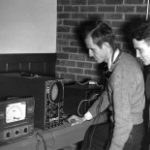 The first electrical course is taught—studying electricity and magnetism, including the design of a dynamo and how to wire a building correctly—at the North Carolina College of Agriculture and Mechanic Arts by Lt. Richard Henderson, U.S. Navy. The first document chronicles the department from its inception to 1989. It was produced by a committee of three prominent faculty members of Dr. George B. Hoadley, former head of Electrical Engineering, Prof. Edward G. Manning, and Dr. William J. Barclay, chairman, all retired. 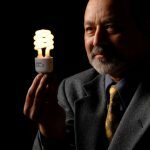 The second continues the story from 1990 to 2009, including many of the entrepreneurial ventures from alumni, and the creation of WolfTech, the department’s IT group.